Japanese knotweed (Fallopia japonica) is a hardy, bamboo-like perennial plant that, although quite attractive on first glance, is highly aggressive and destructive. It was originally introduced by botanists as an ornamental garden plant in the mid nineteenth century and has now spread to such an extent that it is present in almost every 10km × 10km grid square in the country. Within its native range of Eastern Asia (Japan, Taiwan and China) it is controlled by a variety of natural pests and diseases and is rarely a problem. However, when introduced to new areas (like the UK and continental Europe) that are free from these natural population controls, Japanese knotweed can grow much larger and more vigorously, out-competing native plants and forming barriers to important corridors for wildlife migration, along rivers, hedges and railways. It also destroys the built environment and has been known to block footpaths, grow through concrete, damage tarmac, flood defences and homes. Japanese knotweed grows as much as 20 centimetres per day in any type of soil, and can reach a height of up to 3 metres in a few months. Even though it does not produce viable seeds in the UK, its spread is almost unstoppable as it grows through rhizome fragments (underground root-like stems that can be as small as a few millimetres) meaning individual plants can cover several square metres via an extensive underground rhizome network. This makes it extremely difficult to fully remove once established. The spread of Japanese knotweed generally occurs via the dispersal of rhizome fragments that are: washed into rivers during high flows and then deposited downstream when water levels recede; present in garden waste and then fly-tipped on derelict sites, road sides etc; present in soils that are then transported to construction sites; and transferred via machinery used at contaminated sites that was not cleaned properly. There are various current viable treatment and eradication methods should you have a Japanese knotweed infestation. 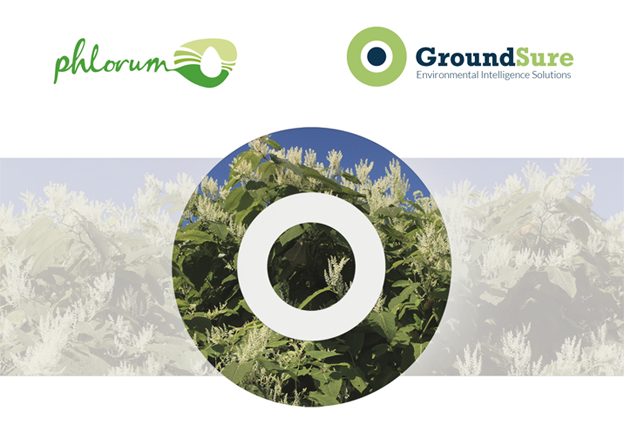 These treatments are summarised in the GroundSure Japanese knotweed Guide and range from: removal to an off-site suitably licensed waste facility (quickest but most expensive option); on site burial in an encapsulated root-membrane or installation of a vertical root membrane barrier; and excavation of contaminated soils followed by soil screening to remove rhizomes. New ideas and technologies are also being tested, the most recent of which includes field tests to trial the use of psyllids, plant feeding insects that will feed on Japanese knotweed. It is hoped that this will help control the spread of the plant, though complete eradication will require closely monitored herbicide treatments at specific times within the plant’s life cycle. Given its virulence and the cost of eradication, it’s not hard to see why Japanese knotweed has become a major issue in property transactions. In the last few years lenders have become particularly aware and sensitive to the issue and many have formalised their secured lending decisions concerning property affected by knotweed infestations, which has resulted in mortgage refusals in some cases. Back in 2012 The Guardian reported the story of Mr Gingell, whose house sale fell through two weeks before the exchange date due to the presence of a 3cm high Japanese knotweed plant found in his back garden. For these reasons it is important to be informed ‘as much as possible about whether it’s a problem in a property you’re looking at’. In order to counteract the rising concerns over Japanese knotweed, the RICS (Royal Institution of Chartered Surveyors) guidance paper, completed with the support of the Property Care Association (PCA) Invasive Weeds Control Group, was published in March 2012. This has generally led to an accepted situation where lending will likely be agreed where a suitably robust Japanese knotweed remediation programme is established, and a ten year insurance backed guarantee is in place. Despite this, it is widely reported that lenders are still seeking a 15% to 20% diminution in property value where such remediation schemes are in progress. So what do you do if you find Japanese knotweed on your property? It is not yet an offence to have Japanese knotweed on your land and there is no legal obligation to remove it or notify anybody. However, allowing Japanese knotweed to spread onto your neighbour’s property/land may constitute a private nuisance under common law, potentially resulting in an injunction requiring you to abate the nuisance. A recent review of the Wildlife & Countryside Act 1981 by the Law Commission concluded that the existing legislation is not sufficient to control invasive non-native species. The Infrastructure Act 2015 will amend the Wildlife & Countryside Act 1981 and a new Schedule 9A will be inserted into the Act to empower environment authorities to enter into ‘species control agreements’ (SCAs) with owners of premises where the authority considers that an invasive non-native species is present. Further powers will be given to the environment authorities to make ‘species control orders’ (SCOs). If the owner of premises has failed to comply with or agree to an SCA, the authority can make an SCO requiring species control operations to be carried out. Very recent legislative changes have also seen the issues surrounding Japanese knotweed enter into the Anti-social Behaviour, Crime and Policing Act 2014. The new rules state that people and organisations who fail to control Japanese knotweed could be issued with anti-social behaviour orders (Asbos) if their conduct is having “a detrimental effect of a persistent or continuing nature on the quality of life of those in the locality, and that the conduct is unreasonable”. Conviction under the Act would be a criminal offence and individuals could be fined up to £2,500, with companies facing fines of up to £20,000. So, while the removal, eradication and disposal of Japanese knotweed can be expensive, given the potential for legal action following legislation changes and the costs associated with repairs and diminished property value, pro-active removal and disposal by licensed contractors is often the best way forward.